If you are looking for a reliable car dealer in Milton, Budds’ BMW Oakville is here to serve you. Just minutes away from Milton, our Oakville dealership has a wide selection of new and pre-owned luxury BMW vehicles. Whether you’re looking for an SUV, coupe, sedan, pickup truck, or sports car, we have something for everyone. Our Budds’ BMW dealership located in Oakville has been proudly serving the community of Milton for years. We understand the diverse needs of Milton as a growing community and we are here to provide you with outstanding service and vehicles. If you’re looking for a car dealer in Milton to provide your family with a vehicle that will keep your little ones safe and occupied, visit our website or our Oakville dealership today. 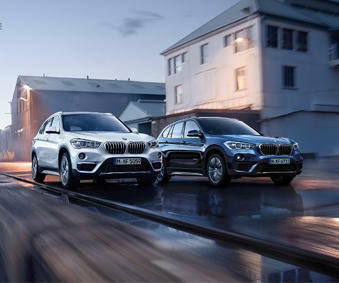 At Budds’ BMW Oakville, we have a large selection of spacious and comfortable SUVs that are well-equipped with top quality entertainment systems to keep your little ones quiet while on long journeys to the cottage or on shorter trips to their extracurricular activities. No matter the distance, we have brand new and certified pre-owned vehicles that will keep your family safe and happy. We also have competitive financing and leasing programs to assist your family in bringing home the perfect vehicle to fit your lifestyle needs. With lower interest rates and premium safety feature packages Budds’ BMW makes your life easier. If you’ve been searching for the sports car of your dreams or are looking for a new high performance summer vehicle, Budds’ BMW Oakville is the top car dealer in Milton and can provide you with your dream car today. Visit our website to search our inventory of high performance sports cars, and if it is in your budget to purchase a brand-new BMW automobile, you can customize your vehicle to fit your style. You can choose the make, model, trim, body style, and the interior according to your style preference. Or, if you are looking for a certified pre-owned sports car, we have a large inventory for you to choose from as well! Whatever your needs are, we are confident that we can provide you with the car you’ve always been dreaming of. Call us or book an appointment online to visit us in Oakville today. When looking for a car dealer in Milton, don’t feel that your options are limited based on your location. Oakville is just minutes down the road and our friendly and knowledgeable client representatives are happy to assist you at Budds’ BMW Oakville. We are passionate about helping you find the perfect car for your lifestyle needs.